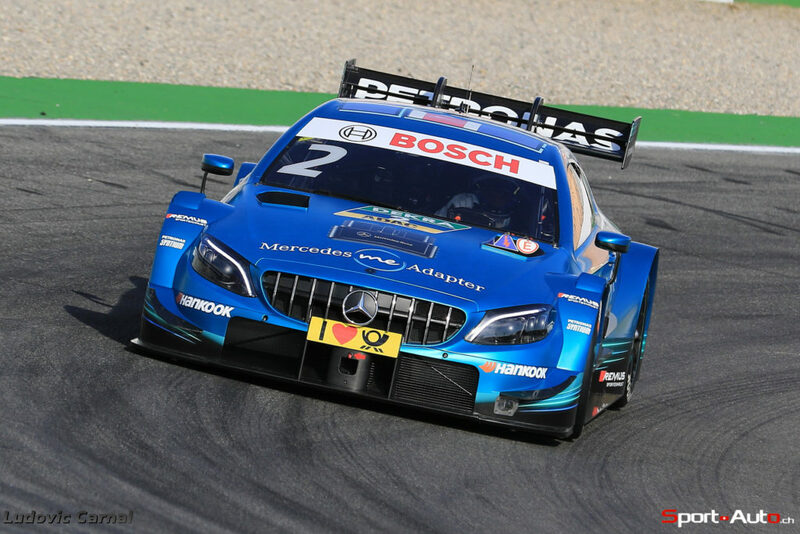 The penultimate race of the 2018 DTM season at Hockenheim turned into a real thriller as Gary Paffett (Mercedes-AMG Motorsport PETRONAS) regained the lead in the championship with a fourth-place finish. His team-mate, Paul Di Resta (Mercedes-AMG Motorsport REMUS), had led the standings by two points in the run-up to this race. Ahead of Sunday’s final round, Gary is on 239 points and thus has a six-point lead on the Scotsman (233 points). Audi driver René Rast (224 points) kept his title hopes alive with a win on Saturday. The manufacturers’ competition was decided during the penultimate race weekend in Spielberg. Mercedes-AMG (887 points) are the new champions. In the team stakes, it was already apparent before the final weekend that the title would definitely go to one of the three teams with the three-pointed star. We now know which squad are the new team champions. After 19 of 20 races this season, Mercedes-AMG Motorsport PETRONAS are on 347 points and can no longer be caught by Mercedes-AMG Motorsport REMUS (294 points) or by SILBERPFEIL Energy Mercedes-AMG Motorsport (261 points).